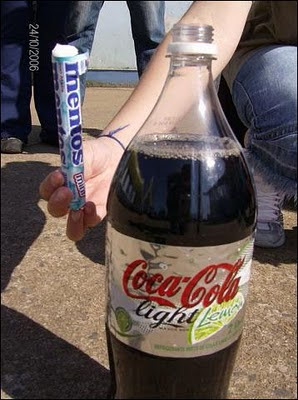 Today I would like to share about mentos with coke forms rocket incident. If you are that kind of person who constantly read forwarded message, you probably had came across about this incident. Rumours say that it cause death when you consume both of them together. Eh!!! This is different la!!! 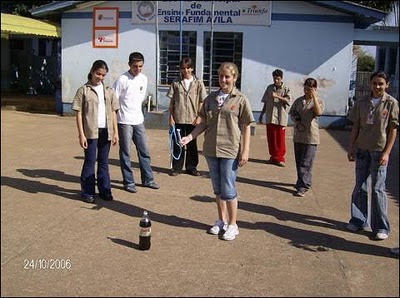 You don't know which compound in the coke reacts with the mentos also!!! 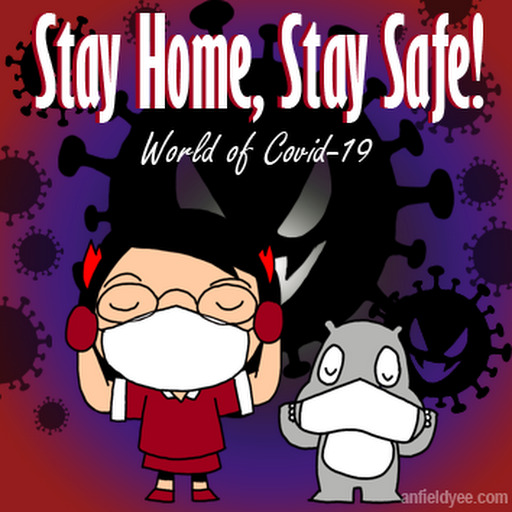 Maybe they already isolated that compound when making that cola flavoured mentos. Plus the flavouring could be done using an entirely different compound from coke, just that it has a similar taste. Hahaha. Plus if they can be combined together in a perfect mentos sweet means they did not explode like a rocket right? 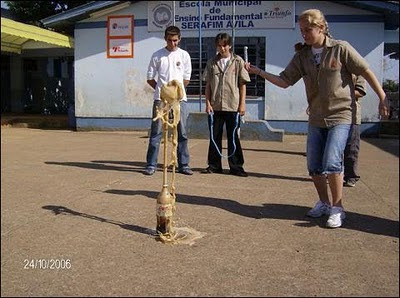 Btw, coke + mentos = rocket does not mean that if you eat them together will have that effect. Cuz your stomach acid might affect the composition of the coke/mentos, plus mentos you chew wan ma, not swallow, so some of it would already have been digested. Unless of cuz you plan to swallow mentos with coke. Hahaha. Btw, sorry for the influx of chemistry. Hahaha!!! lol,i'll nvr try this out!